Considering how absolutely vital your hydraulic pump is to your equipment, naturally you want to choose a durable, reliable pump that you can count on to keep your equipment running. However, you may also be concerned about finding a pump that will be efficient and keep your operational costs reasonable. To end this dilemma, simply choose Oilgear hydraulic pumps in Long Beach CA. These pumps are not only designed to have a fast response time and reliable performance; they also last longer and consume less energy than the competition. The end result? Your Oilgear hydraulic pumps in Long Beach CA last longer and perform better, giving an excellent return on your initial investment in this high-quality hydraulic component. Bernell Hydraulics makes it easy to get the high-quality Oilgear equipment you need. Whether you are shopping for fixed pumps or variable pumps, we have plenty of options in stock. Anything we don’t have on hand we can easily order for you direct from Oilgear. Local customers can get their Oilgear hydraulic pumps in Long Beach CA by picking them up in store or taking advantage of our on site delivery service. If you need your pumps sent further afield, we offer nationwide shipping. 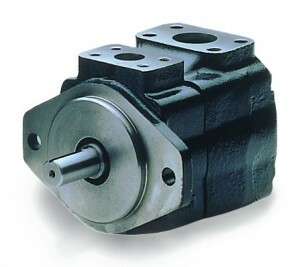 Need Help With Your Oilgear Hydraulic Pumps in Long Beach CA? Bernell Hydraulics isn’t just an excellent place to shop for new Oilgear hydraulic pumps in Long Beach CA. We can also repair and service any kind of hydraulic equipment. We can even come work on your equipment on site if needed. You can rely on our techs to help keep your Oilgear pumps performing their best as long as possible.